This quaint boutique hotel downtown has cozy, brightly decorated rooms, and the accommodating staff make sure you want for nothing during your stay. You can walk the half-mile to the Dallas Arts District for dinner or a show, or pick up the DART Rail just two blocks away to get out of downtown. 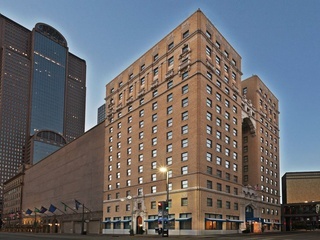 The building that houses Hotel Indigo is registered as a National Historic Landmark.